Calling all 2017 AT, PCT, and CDT thru-hikers!!! The Trek wants to sponsor you! That’s right- it’s that time of year- where we give away thousands of dollars worth of backpacking gear, food, and resources. 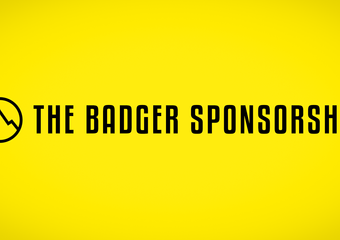 Better known simply as the Badger Sponsorship. 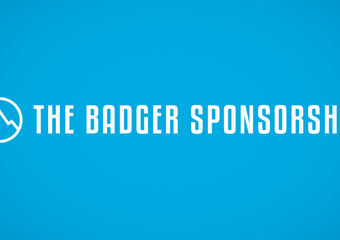 The Badger Sponsorship began in 2012 as an effort to pay forward the goodwill given to me before and during my thru-hike. Each year since, the giveaway has grown in scale, rewards, and sheer awesomeness. Last year, we gave away more than $10,000 in prizes. This year’s prize package is even better. Said differently, if Ghengis Khan and the Terminator had a baby and this baby was raised by Oprah and Miss Janet inside of REI, said baby would be The Badger Sponsorship 2017. For those keeping score at home, that’s more than $10,000 worth of prizes. Hot damn. The question many of you are asking. Record a short video (no more than 90 seconds) explaining a) why you want the Badger Sponsorship b) why you’re embarking on a thru-hike, and c) why you’re going to successfully thru-hike the Appalachian Trail, Pacific Crest Trail, or Continental Divide Trail in 2017. Post this video to YouTube. Title it “(Your Name) Wants to Win The 2017 Badger Sponsorship”. E-mail me the link to this video at [email protected] no later than 7pm EST on Monday, January 16th. Any entries sent after this time will not be accepted. The top 12 videos will be chosen as this year’s finalists and posted on thetrek.co on Wednesday, January 18th. The winner will be determined by a combination of the Reader’s Vote and our Expert Panel, each accounting for 50% of the final score. The video with the highest combined score will be this year’s winner. Voting ends at 10:00pm EST on Tuesday, January 24. The Finalist Videos and Winning videos will be evaluated on two criteria: 1) how well you answer the above questions and 2) creativity + effort! Sitting in front of a webcam and saying that you really want to thru-hike will not get you through to the finals. Here’s an example of a great video entry from a past contest. Only the top 12 videos will make it into the voting round. Last year saw more than 70 video submissions. We will likely exceed that this year. Bring your A-Game. To ensure that your email doesn’t go to SPAM (which has happened in years past), don’t assume that I have received your email until receiving a response from me, which I will try to do within 24 hours of receiving your message. I have exactly zero say in who wins. A small panel decides the finalists. The readers and our Expert Panel decide the winners. Pandering is always a nice gesture, however, it won’t affect the final outcome. Prizes will only be shipped within the lower 48 states in the US. International pals, you may want to find a US friend who would be willing to hold your gear for you. Please consider expanding your list of eligible trails next year to include the Pacific Northwest National Scenic Trail. Please feel free to download my free 2001 guide at my website: ronstrickland dot com. I have tried to vote 3 times and have never gotten the Confirmation email. ?? Can non-us citizens participate for the upcoming years?